Phong and his team tuck pointed and repaired over 100 spalling and damaged brick on my home. The house is over 100 years old, so I wanted the brick repairs to match. The repairs were so seamless that I had to double-check where the work was done. The mortar was colour-matched perfectly. They use high-quality brick and the proper mortar. Phong and his team are really approachable and they listen to your feedback. If you own a century or vintage home and want craftsmanship, give Brick Aid a call. Your review means alot to us Thank you for your time C.
My hot water tank wouldn't light, so I called Belyea brothers based on their stellar reviews. Scheduling and service was painless, and the technician showed up on time. The technician couldn't get the boiler to work after doing all the checks, and recommended to replace the entire boiler. Called another company to get a second opinion, and the technician got my tank working in 40 minutes. Pretty disappointed with Belyea brothers to say the least. Gave them 1 star because their service is decent, and the technician---despite not being able to fix the problem---was polite. Nick and Pat are detail-oriented professionals who care about their work. Despite working with the minus 21 degree weather, 100 year-old lath/plaster/brick walls, the installation was clean and precise. Nick and Pat patiently and methodically worked through problems together to determine the best solution for the installation. Communication was timely and through via phone and email. 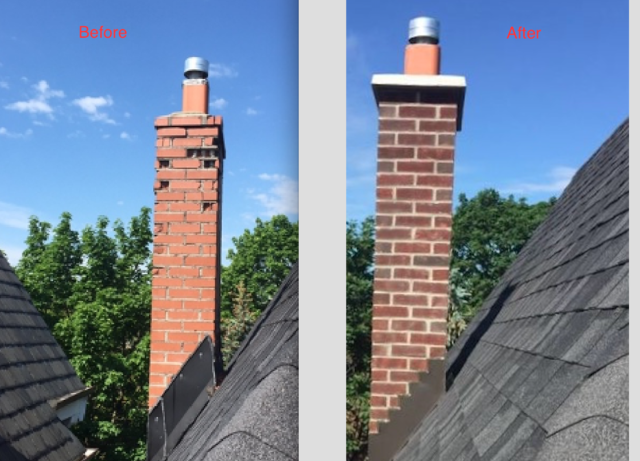 Avenue Road's masonry team rebuilt a chimney that was literally falling apart (see attached picture). The chimney caused a slow leak in the roof. Tyson came by to provide the estimate and quickly found the problem to be the chimney. I didn't supervise the workers and they still performed the job perfectly. Job was clean, organized, well done. The wait time was approximately 3 weeks but it was worth the wait. You get what you pay for---especially for masonry work. Note the flashing and the nice finish on the brick detail. The previous "roofers" didn't cap the roof properly. The roof no longer leaks, and I have a peace of mind that the work will stand up to the heavy rain falls. Communication by phone and emails were timely. Would use Avenue Road's roofing service when the time comes. Keep up the great work! Hello, thank you for the review of our services. We appreciate it! AA floor is Toronto's best kept secret. Unassuming, unpretentious, and offers superb service and installation. Don't let the low-key environment fool you. I compared several hardwood floor shops around downtown Toronto, Markham, Scarborough and finally decided to go to AA Floors. AA Floors was one of the few shops that had a genuine interest in helping clients. The prices were fair not inflated like the fancier showrooms. Tip: Go during the weekday to get the best service. Weekends are extremely busy (which is a good sign I guess). My project was small (300 sqft), but Peter Lech gave me sound, unbiased advice throughout the project. If you're picky and have tons of questions, talk to Peter. He wasn't pushy and always had the best intentions with the project. His patience seemed infinite. The store carries entry-level to higher-end products (ie. Preverco). I purchased a hand-scrapped, 5-inch wide engineer hardwood from Superior. A bit pricey but worth every penny. Communication by email was thorough and timely. On the installation day, the installer (Ross) arrived on time. He installed the hardwood with meticulous precision and care. 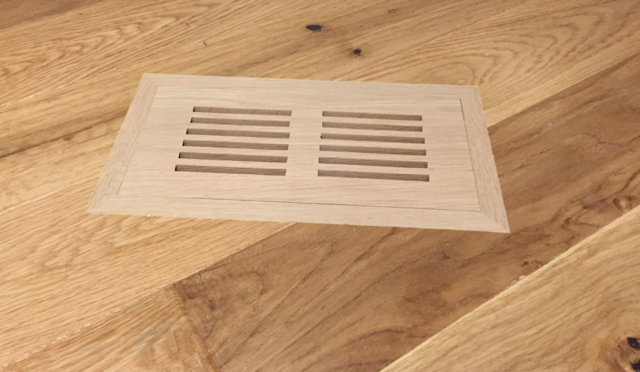 I ordered two flush-mount vents which require a bit of skill to cut (Image attached. Vent wasn't stained yet in the photo). I was amazed at how perfect the cuts were. At the end, there were zero errors in cutting. I ended up with 8 pieces left over and not a box to spare. Thanks very much for your evaluation, it was a pleasure working with you as well. Your experience was also enhanced because you came in prepared, took the time to do the research on the products and selected one of the nicer brands available on the market!